Sandra, an accomplished massage practitioner, who has refined and perfected the art of "regenerating the body, mind and spirit" through the application of her philosophy for balanced health through massage treatment, Reiki and/or Hypnotherapy. Body Philosophy Massage, was founded in 2006 after Sandra mastered considerable expertise in the healing energy gift of Reiki. Her goal is to provide a custom tailored approach wherein people could focus on recalibration of their overall health and balance through total body awareness in a one-stop location. BPM philosophy is to help bring an awareness to clients, the public, health and medical fields by giving knowledgeable tools to bridge the gap between Eastern and Western philosophy for total natural health. BPM works with all levels of businesses finding resolutions to better health and higher productivity in ones life, giving back to own your knowledge and apply it to healthier living. Working toward keeping medical cost down and helping put smiles back into the steps of all. This has resulted in clients from all walks of life reaping a multitude of benefits, from higher productivity and faster injury recovery. Sandra is a people oriented person and her path to her current focus on the East/West fusion of health services has included stints in the education arena with local schools as substitute and assistant teacher, coaching sports such as soccer and baseball and as a past business owner of a graphic illustration and painting company called "Window Designs"
Her credentials include college certificates in business and language, certificaton and licensing in Therapeutic, Clinical and Medical Massage therapy, First Aid and CPR, she has accomplished the status of a Reiki Master and using intuitive connectedness. 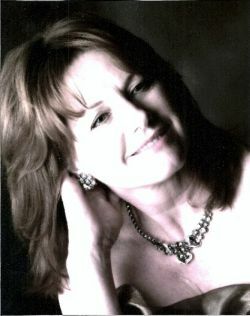 Sandra has added to her credentials by accomplished training and certification in Hypnotherapy. Sandra's hobbies include an appreciation of the arts, hiking, travel, singing, dancing, scuba diving and the pursuit of new opportunities that align with her aims of regenerating body, mind and spirit. When finding a business name, Sandra wanted a name that would encompass the meaning of mind, body and spirit, that of total balance. 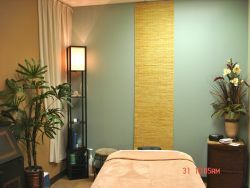 Her logo was developed and the name Body Philosophy Massage "regenerating body, mind, and spirit" was born.